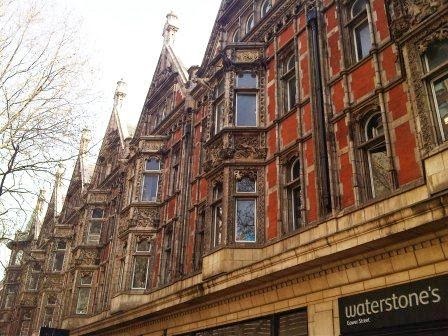 London has a large number of bookshops both big and small. 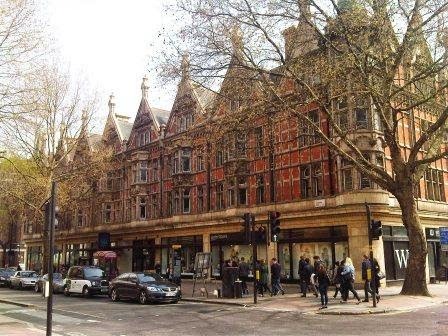 From the big chains such as Waterstones, Blackwells, and Foyles which are dotted throughout the city to the small second-hand or specialist book emporiums which have long made London’s Charing Cross Road famous. But as with any city there are a strategic few which are always well worth seeking out if you are lucky enough to stumble upon them or be pointed in their direction. Several of my favourites are to be found in the area close to the University of London in the locale which leant its name to the eponymous Bloomsbury set. As a compulsive bibliophile these are three which I make regular pilgrimages to, and very rarely (if ever) do I come away empty handed. First of these has to be Waterstones on Gower Street. 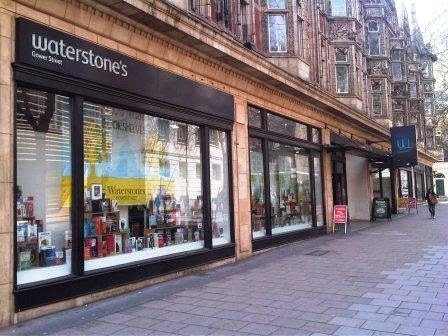 Waterstones? Little known? Really? … Stick with me … Waterstones on Gower Street occupies a beautiful labyrinthine Grade 1 listed building designed by Charles Fitzroy Doll in 1908, which was described by Nikolaus Pevsner (1902-1983) as 'a wild block, very elaborately detailed in a restless, flamboyant, Franco-Flemish Gothic style'. It certainly serves the academic needs of the nearby University well with a diverse set of specialist academic departments which are well stocked for a variety of subject areas from medicine and the sciences to the arts and humanities, but for me the absolute gem hidden within this old Gothic pile is its Second-hand and Remainders Department which is forever overflowing with unexpected bargains. For me it is a dangerous place to venture into; the prices are perfectly pitched to make me part with my cash as I’m always convinced that I would be mad to pass up the opportunity of purchasing such quality books at such reasonable rates – and it would be madness – as it’s more than possible to stretch your £ in this part of the shop and come away with a generous stack of real bargains. 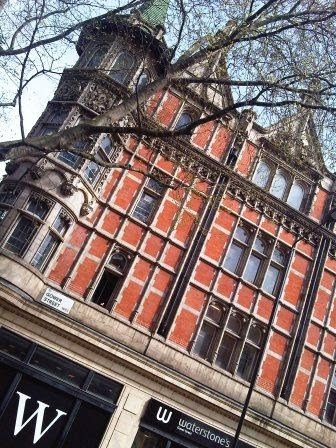 Plus, if you are a London resident or staying in the city for some time, it is well worth following both the Gower Street branch itself, as well as its Second-hand and Remainders Department on Twitter, especially the latter as they regularly post notifications and reminders of their frequent half-price sales and other events. Not too far from Gower Street there are two other second-hand bookshops which are a must to seek out. 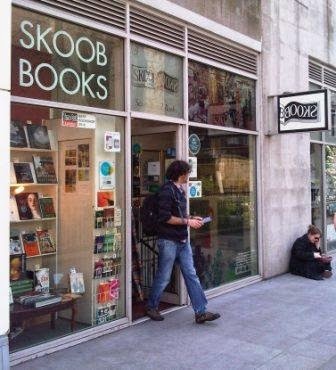 The first, a little way up the road heading north from Russell Square Tube Station, is Skoob Books. The entrance is tucked away around the back of the Brunswick Centre, which itself is great for shops and restaurants as well as an art house cinema. A staircase (& lift) from the entrance down to the basement level takes you into a veritable Aladdin’s Cave of books – strong on academic works, again with comprehensive coverage of all academic subject areas – the place is packed to the rafters. In places the books are so tightly crammed in that sometimes it takes quite a bit of effort to prise the books out of the stacks! It’s worth noting that there is a great turnover of stock too as this is the place where many London students come to acquire their books at the start of term, and they then return to sell them on at the end of the academic year (as I did at the end of my undergraduate degree in the mid-1990s when the shop was located on Sicilian Avenue), so it is a good place to regularly check back with if you have a wish list of certain titles as you never know what you might turn up there. Students get a 10% discount too. Their warehouse stock is also available to peruse on-line and you can request titles to be delivered to the shop for you to look at with no obligation to buy. 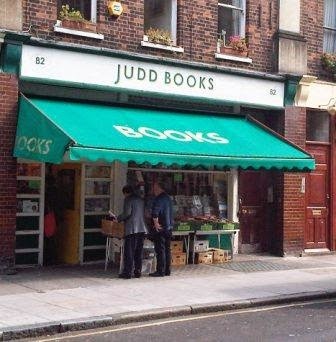 Again heading north from Russell Square Tube, a little further up the road, is Judd Books on Marchmont Street. 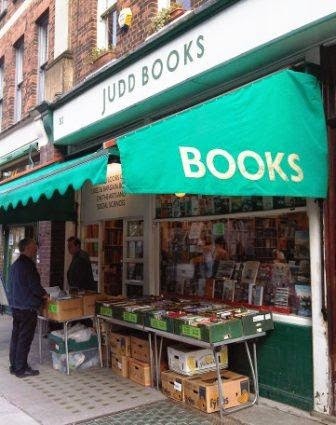 You can't miss its prominent green awning with 'books' in yellow lettering covering its outdoor stalls laid out with boxes of clearance titles tempting you to stop as you pass by. This bookshop is like a mix of the two described above. Strong on arts, culture, and the humanities, Judd Books is well stocked with recent remainders as well as second-hand titles. Literature, Art, Film, Media, Architecture, and Music are on the ground floor. Downstairs the shelves cover History, Philosophy, Psychology, plus Economics and Politics, International Relations, etc. are housed in the back room. Again a good place to pick up a recently published bargain, and students get a 10% discount here too. All three of these bookshops are within strolling distance of both Senate House Library and the British Library with plenty of nice cafes, pubs, and restaurants scattered in between, so if you are here either visiting the University or using the British Library they make a great diversion or adjunct to what might already be a very bookish day.